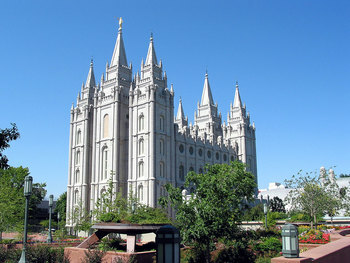 In Mormonism (the doctrine taught by The Church of Jesus Christ of Latter-day Saints), the sealing power is the means whereby all “covenants, contracts, bonds, obligations, oaths, vows, performances, connections, associations, or expectations” attain “efficacy, virtue, or force in and after the resurrection from the dead,” and “all contracts that are not made unto this end have an end when men are dead” (see Doctrine and Covenants 132:7. Thus, in Latter-day Saint theology, “sealing” is defined as an ordinance (a practice that demonstrates the participant’s outward expression of faith) performed in Latter-day Saint temples by a person holding the authority to perform the sealing. The purpose of the sealing ordinance is to make possible the existence of family relationships throughout eternity.